Southland Farm Services Ltd formed in 1991 and is 100% Southland owned and operated, with a number of core departments and a friendly customer service and front counter team. We are situated in Invercargill with easy front door parking and provide a 24 hour breakdown service. 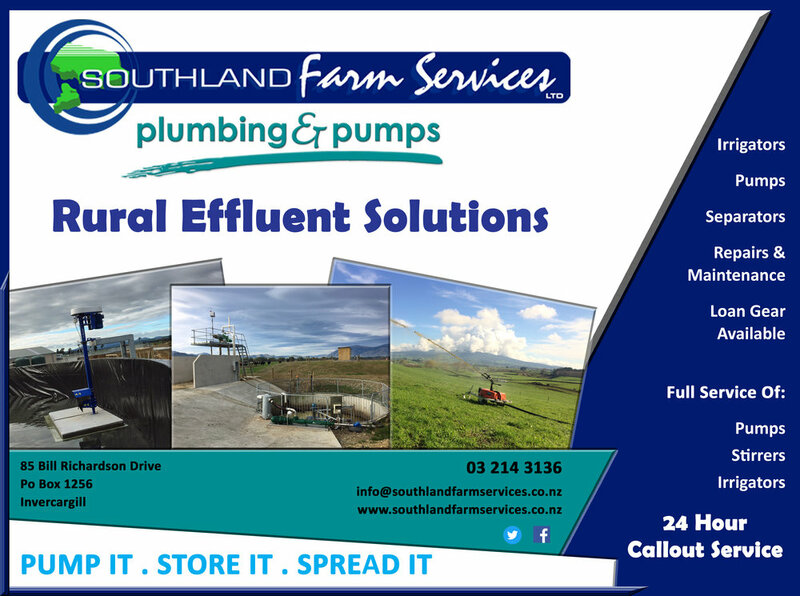 Southland Farm Services has three core departments: The Milking and Engineering Division; focus on Dairy installations/ servicing and aftermarket products, Rural Plumbing, Pumps and Effluent Division: focused on Farm water and Effluent systems, and Machine Operations Division; Focus on Farm water & effluent reticulation. We have a fully stocked Store & shop open from Monday – Friday 8:00am – 5:00pm containing a large range of DeLaval stock including, Rubberware, detergents, clusters and general backup spares, and a range of water filters, pumps and plumbing spares. Southland Electrical and Refrigeration Ltd work together with Southland Farm Services Ltd, complimenting each other and creating a complete service from electrical to plumbing. By dealing with Southland Electrical and Refrigeration Ltd and Southland Farm Services Ltd you can experience the benefits of working with one organisation.